Anthony Davis 2019: Five-Time All-Star to Decline $240M Supermax Deal? Anthony Davis and his impending free agency is still the talk within the NBA sphere and it’s not surprising. The 25-year-old is averaging ridiculous stats right now and is singlehandedly winning games for the Pelicans. Despite Anthony Davis’ efforts, however, the Pelicans are the second worst team in the west with a win-loss record of 17-21. And this may cause the organization to lose their best player. 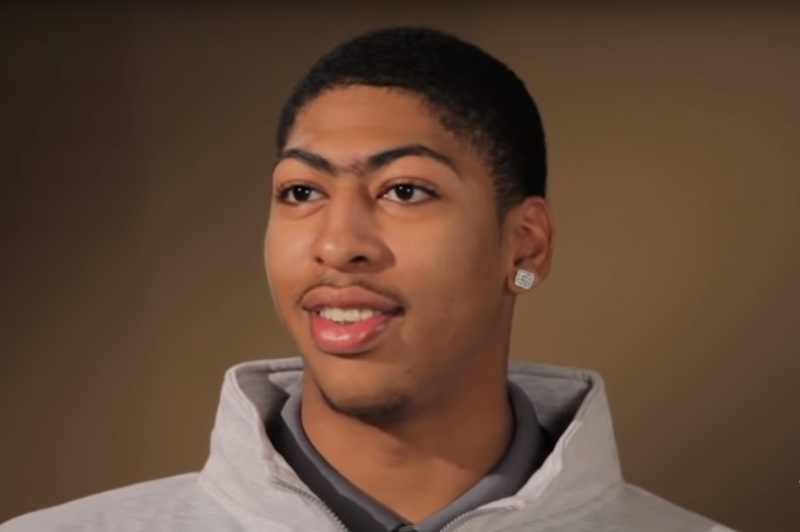 Anthony Davis has already made it clear that a title is more important to him than money. With the Pelicans doing so poorly at the moment, it’s fair to assume that the five-time All-Star could potentially decline a supermax extension that would give him around $240 million. If he does, then it’s expected that the Lakers will aggressively try to get him on their roster. It’s no secret that Lebron James wants another superstar on his team as he alone is not enough to make the Lakers a title contender. Indeed, there are even rumors circulating that James has already met with Anthony Davis when the Pelicans went to Los Angeles to play against the Lakers. Marc Stein of the New York Times has also predicted that Anthony Davis will opt out of the supermax deal to find a new team that would give him the chance of earning his first championship. Of course, all of these are simply speculations at the moment since the talented forward/center remains reticent about the matter. Another factor that analysts are looking into is the Rich Paul situation. Rich Paul is the agent of both Anthony Davis and Lebron James. As such, people are assuming that Paul may influence Davis’ decision when he decides to leave for another team. If a ring is what he wants, then the Lakers can indeed give him that shot. The question now becomes: who are the players that the Lakers are willing to trade to acquire Anthony Davis? Kyle Kuzma is an unlikely candidate since he’s an important piece in the team’s offense. That means that Brandon Ingram, Lonzo Ball, Kentavious Caldwell-Pope, and Josh Hart are all on the table for a potential trade deal. Should the Pelicans agree to this? If they have exhausted all their options, then yes. The above-mentioned players are all young guys and could provide a bright future for the Pelicans. Add the fact that they’ve already got chemistry playing together and it makes the offer a bit enticing. Of course, they are not on Anthony Davis’ caliber. But with the 25-year-old’s impending free agency, the organization should start considering their options as the situation could be resolved as early as July.